How to save the current project for next time edit? 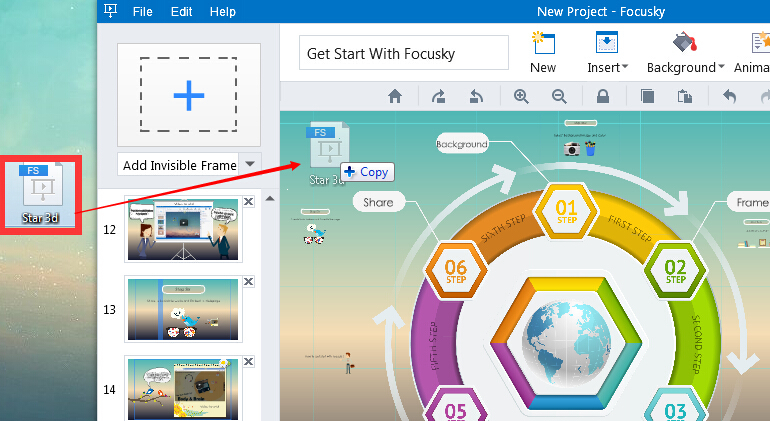 As engaging video presentation maker, Focusky is a free alternative to PowerPoint. With no hassle, users can make animated presentation easily. Publish as multiple formats to store or share the wonderful video presentation with others. It can save your time and work to edit a project from previous-saved project. More importantly, it is so easy to save your current project to any folder. And just open it to edit again. Following is the tutorial video of this topic. 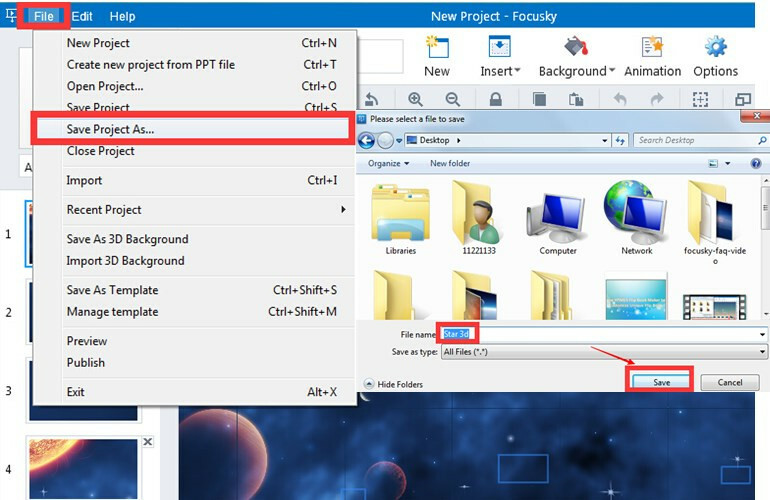 1 Click "File—Save Project as" and choose a folder to save to project. 2 Two ways to open a project. 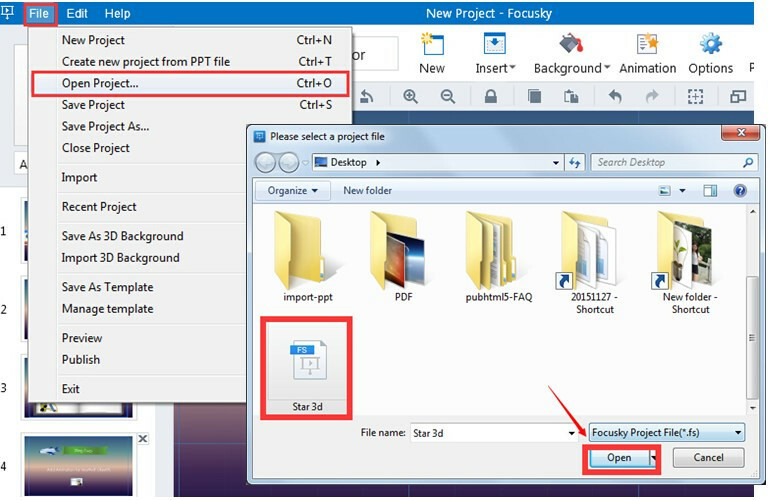 (1) Click "File—Save Project as". Open the project that you saved before. (2) Drag and drop the project into focusky. How to make your online presentation friendly to search engine? How to get the traffic statistics of online presentation? How to view the presentation on another computer without installing Focusky? 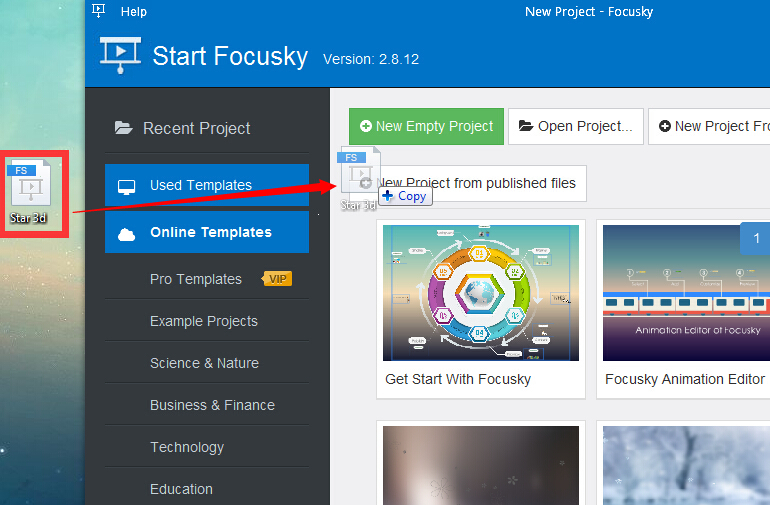 How to publish your projects in Focusky?